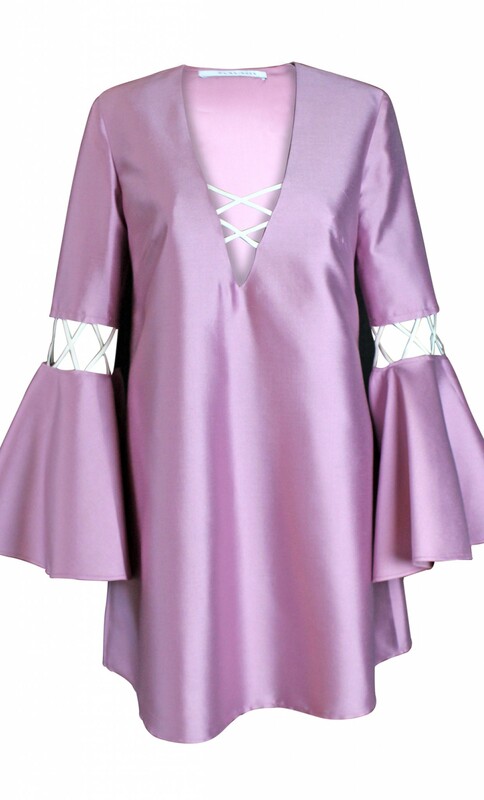 The effortless dress is cut from a pure white cotton in an easy A-line silhouette and finished with mauve coloured horizontal and vertical lace-up details along the neck and sleeves. Please note that the neckline cutout is smaller for production compared to the campaign pictures. A-line cut, V-neckline, lace-up details. 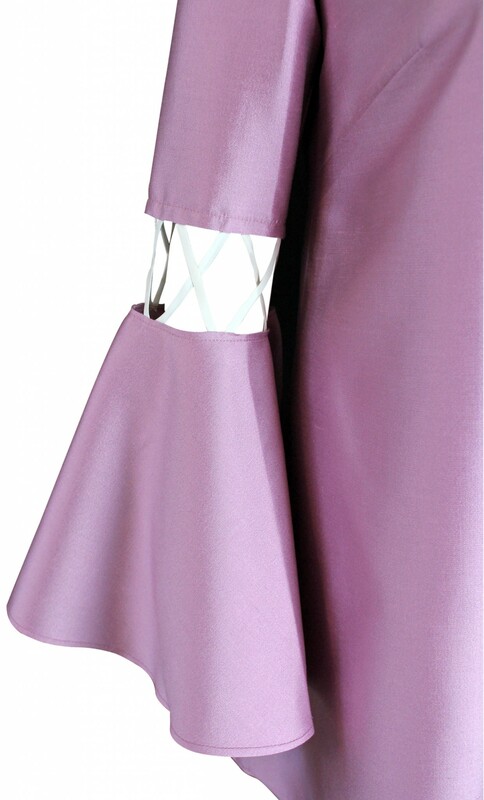 The dress is also available in a reversed color code, the dress made from a lightweight, mauve silk with white cotton lace-up details. Fabric composition 1: 100% cotton. Fabric composition 1: 90% silk, 10% polyamid.